In recent years, large event marquee has become one of the necessary movable structures for drama, dance play, music festival and other outdoor activities, which integrate lighting, acoustics, props, costumes and other various art elements. 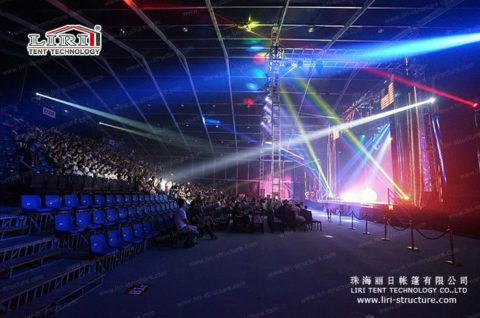 And with the effect of modern lighting and sound, not only do the audiences watch excellent performance also enjoy the unique and abundant audio-visual environment. 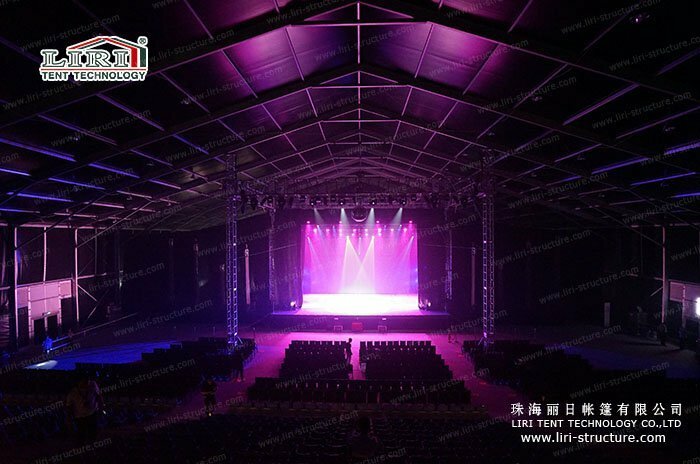 In order to present a perfect show, the organizers of Star Magic Show pay a large sum of money for building a large event marquee “Super Star Theater”, which covers over 13,000 square meters. 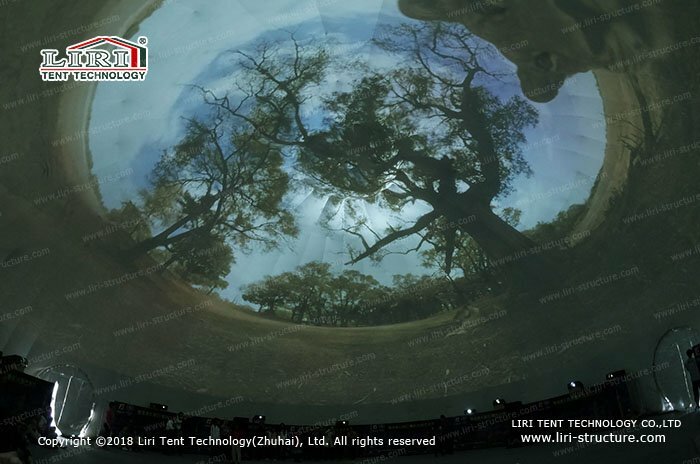 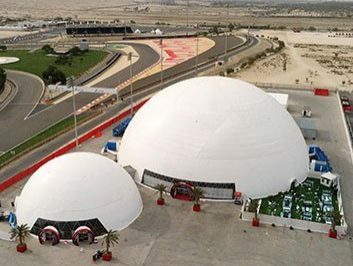 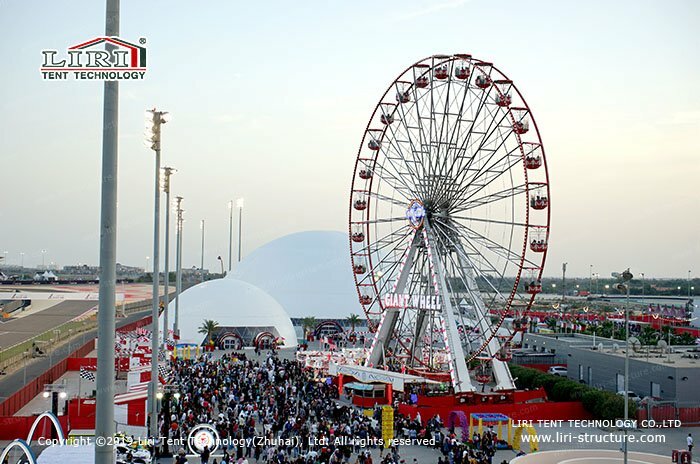 The main body of “Super Star Theater” is a large event marquee supplied by Liri Tent. 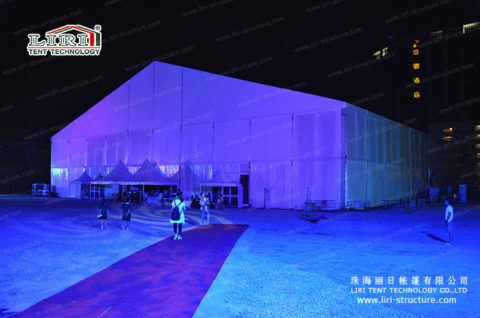 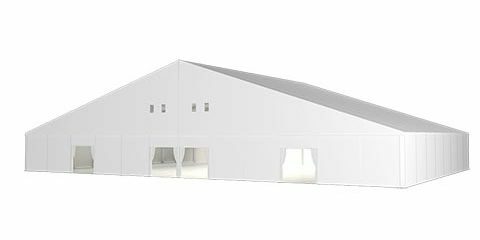 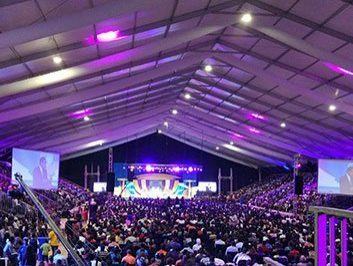 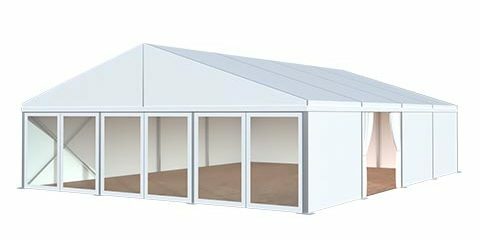 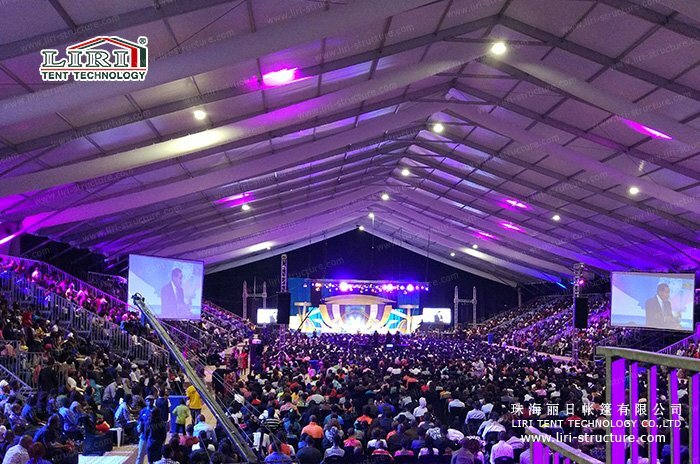 The span width of the large event marquee reaches 50 meters, 60 meters in length and an eave height of 10 meters. 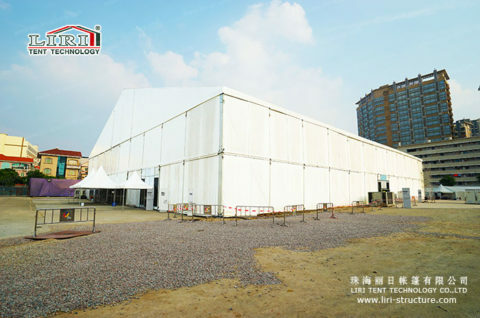 What’s more, the large event marquee can accommodate more than 2,500 spectators. 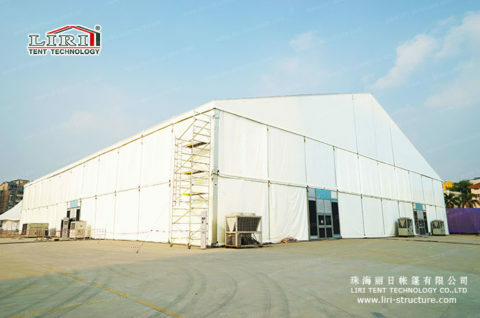 How big the tent it is! 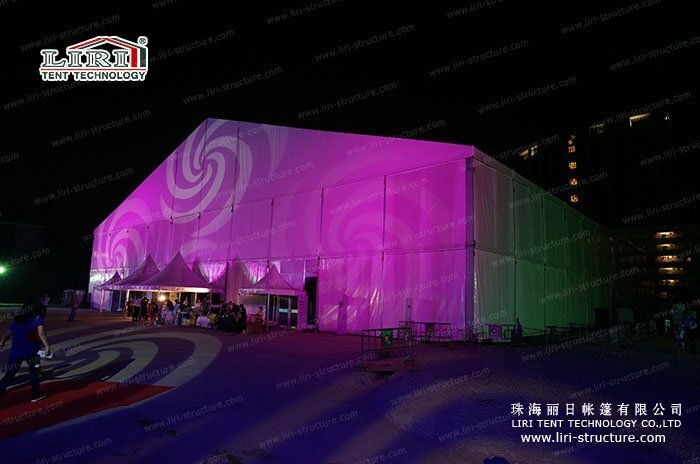 The PVC fabric of the event marquee is unusual as the creative design double color, black inside and white outside. 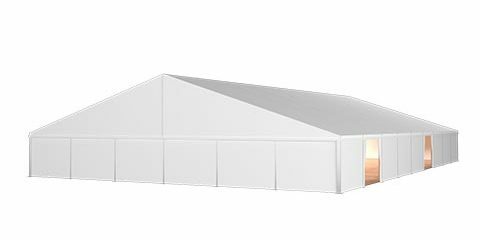 The white appearance provides a very high plasticity. With the use of the great lighting, it will bring you into a magical world before entering the theater. 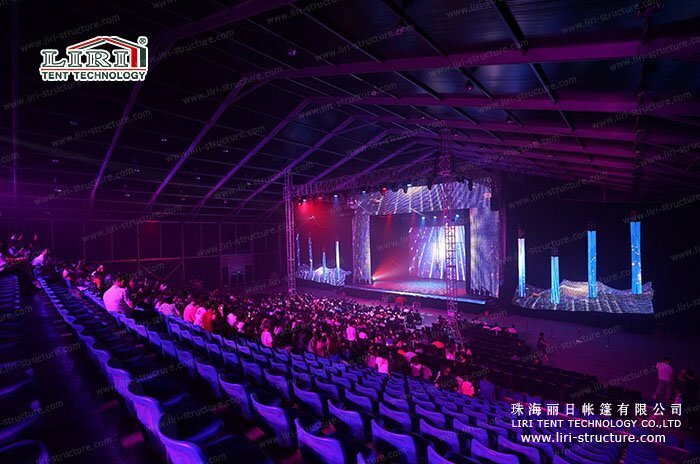 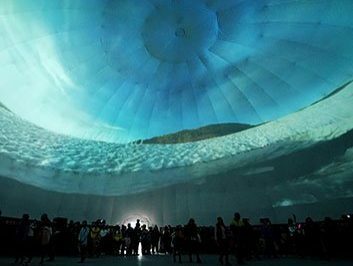 Inside the black surface, it gives a perfect performance environment to the actors, so that the audiences will have a most exotic visual treat and thrilling experience. To arrange and use the props better, and give the actors more room to play, there is a 13-meter stage and 20 × 20m truss seats inside the large event marquee. 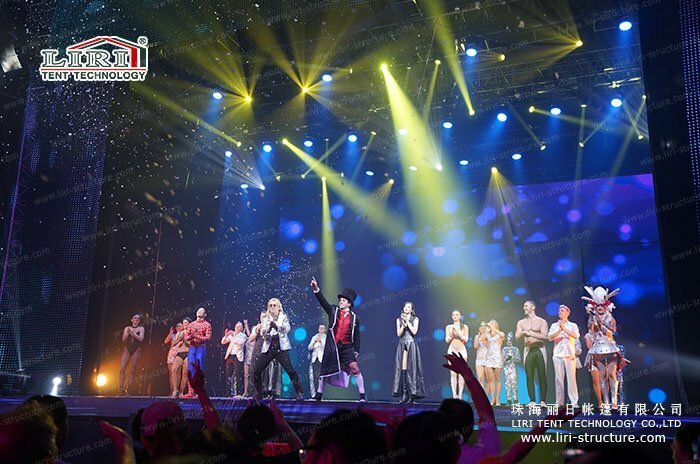 It’s believed that the audience will experience a magic dream with happiness.